New York was not working very well when John Lindsay became mayor of New York in 1965. He wanted the it to be known as “fun city” and yet, it was a tough time in New York – a restless, an angry and a messy place with tensions boiling into protests and expressive behavior erupting at every turn. This raucous mix would slowly contribute to a new and vibrant art form. At its core it was simply Graffiti, an in your face form of protest, in which buildings, walls and other property, including subway cars, were defaced with huge lettering applied with spray paint. Although it was called “vandalism” artists thumbed their noses at decorum as they “tagged” different parts of the city with their own expression-enjoying the adventure and the escape from the rule of law, in the process. Who were these anonymous adventurers not known by their real names but by monikers like Crash and Xincero? Driving thru the streets of the city, it was not uncommon to see new works of graffiti pop up overnight. Most jarring were the ones in areas of the city where former housing was a pile of rubble. Fort Apache, The Bronx? It was almost as if the taggers were saying to the city “Clean up the Mess”! 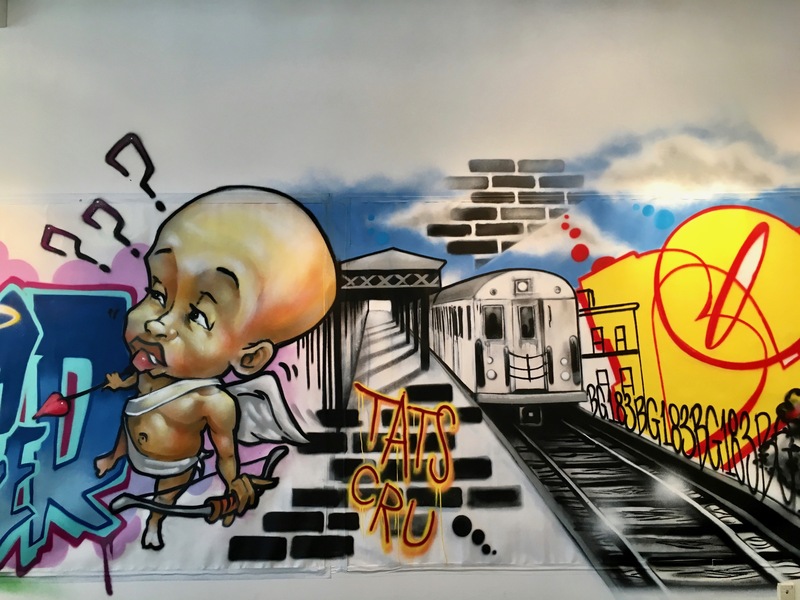 From the Streets, is a multimedia art exhibition focusing on the history of street art, chronicling the meteoric rise of the urban artist, from a vandal and outlaw to that of a cultural trendsetter. It highlights legendary artists from the 1980’s, a pivotal moment in graffiti’s culture, which gave birth to hip hop and other unique styles of artistic expression. 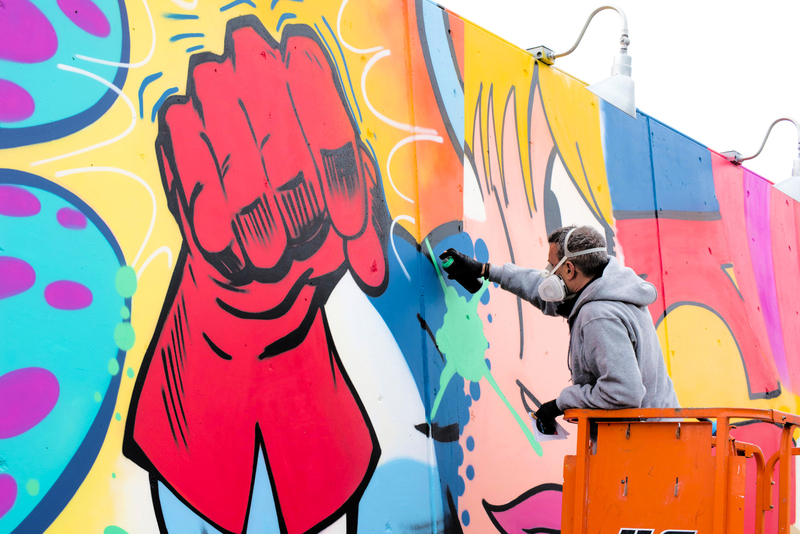 Presented by the ArtsW – ArtsWestchester-it features murals, painting, photography, sculpture and installation from these early pioneers who are at the cutting edge of their disciplines. From the Streets exemplifies the scope and evolution of a subculture that has made a huge impact on the current marketplace in galleries, auction houses and museums around the world. As many of you know, I have traveled to both London and Paris to actually study street art. I loved this exhibit and it runs at the ArtsW Gallery at 31 Mamaroneck Avenue in White Plains through July 15, 2017. Next ArticleBathroom Remodel? Time to Meet A Smart Toilet!